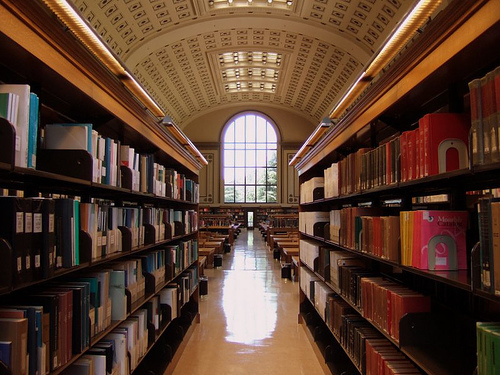 "The only way the university will be able to cover the costs of its librarians," said the consultant, "is by selling all the books in the university's library on Amazon." BERKELEY, CA. – UC Berkeley has reached an agreement to pay a consultant $3 million to help the school find new ways it can save money. The consultant suggested that the university could cut its budget deficit by up to $1.2 million if it: cut faculty pay; laid off some employees; sold a portion of its campus; and raised student fees. In an interview with Canadian newspaper, News…Eh?, Frasier justified the new FD grade on the grounds that it will finally provide F students with the opportunity to feel superior to another group of people. Despite F students’substantially higher rate of failure, Frasier opposes the belief that F students failed at feeling superior because they’re failures who simply fail at mostly everything. He cites a recent Montreal University study which attributes F students’ general lack of a superiority complex to the historical absence of a class of people to feel superior to. Some critics think the new FD grade will cause F students to believe they’re not utter failures, but merely complete disappointments; and eventually lead to the replacement of D students altogether. Others are not so apocalyptic-minded, but believe D students might develop an unrealistic sense of accomplishment from outperforming two groups of people. Yet, most American educational experts think not much will be changed by the FD , as F and D students will always be considered losers. Frasier has not commented on what, if any, effect the new FD grade might have on D students. New sign painted near Canadian school, after a study revealed FD students were failing to stop at stop signs because they think stop is spelled s-o-p-t.